It is a special pleasure building furniture for friends. Both pieces are veneered with special thick veneer that give color and figure continuity throughout. 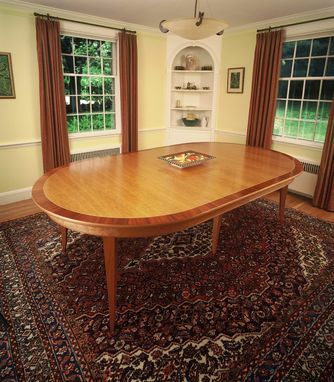 The table's versatile size can seat a family of five in regal spaciousness, or twelve friends on very good terms. 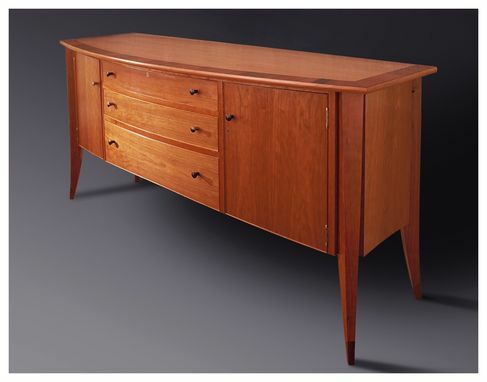 The bowfront buffet is a contemporary look at traditional Hepplewhite and Sheraton forms. Joinery is robust and traditional. Locking drawers and doors keep the help out of the silver.